Commission to design the Vogue Fashion Fund submission. 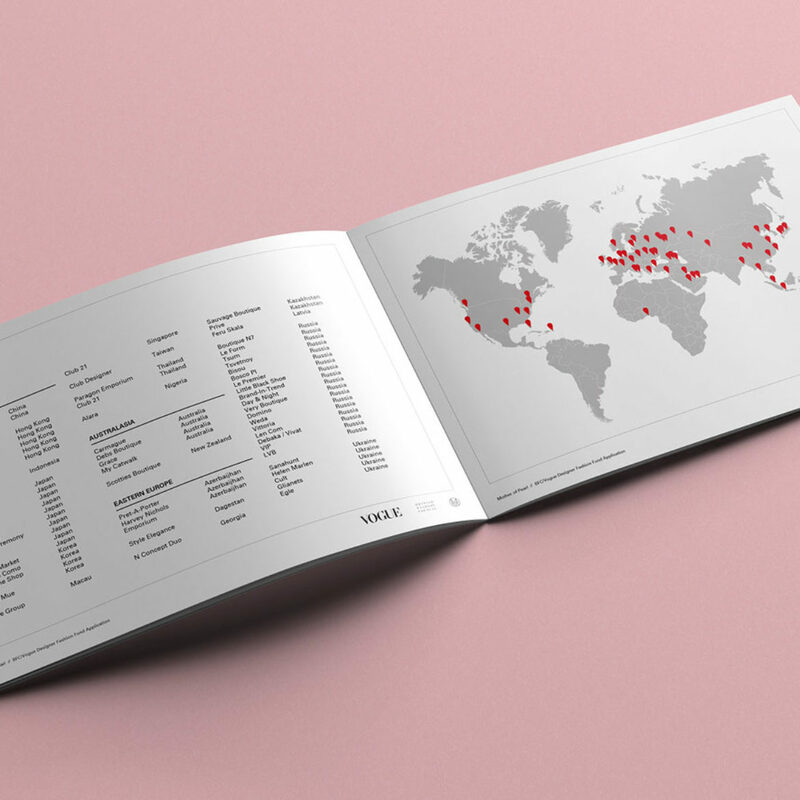 A3 printed and bound document included custom illustrations and fabric wrap spine. 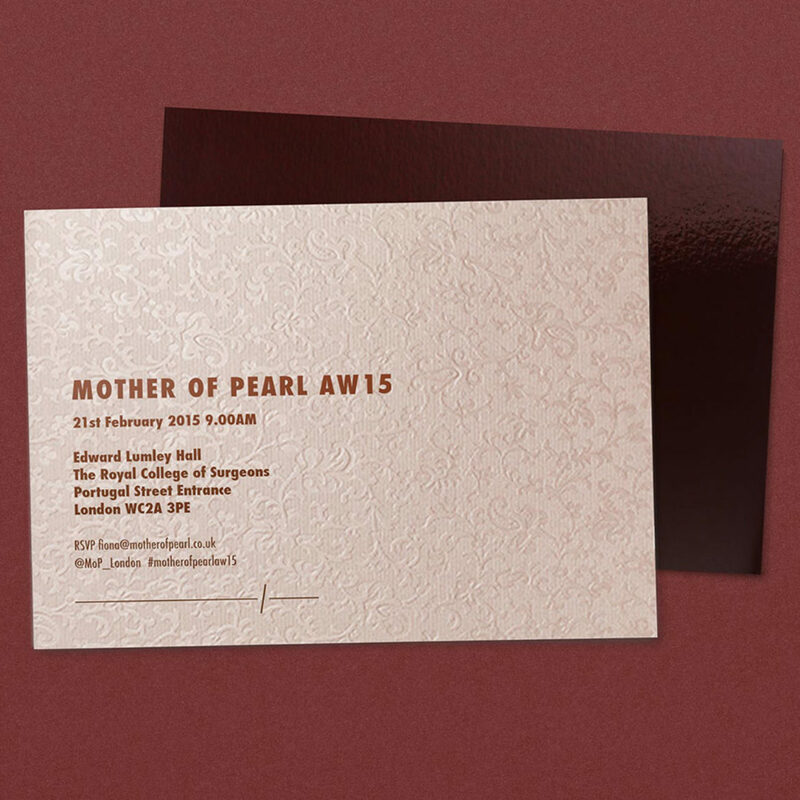 London Fashion Week invitation designed for fashion house, Mother of Pearl. A6 invite with hot foiling, duplexed GF Smith stocks and matching envelope set.